Tinnitus is more commonly termed as ‘Ringing in the ears’ is something that everyone experience very often. There are many instances where a lot of people experience this condition once in a while. Although not a severe condition, it causes a lot of discomforts. Tinnitus is easily curable with home remedies. In fact, there are plenty of home remedies for tinnitus available handy to get rid of this annoying condition. People experience a ringing sound in the ear. Sometimes, it also sounds like roaring, buzzing, swishing or clicking. Tinnitus is not a disease to worry about, but an indication that something is wrong in your ears, blood vessels and in rare cases, brain or heart. Hearing ringing sounds in the ears are also associated with psychological disorders, which is totally different from Tinnitus. Tinnitus is caused due to aging, ear infection, ear canal injury, fluid pressure or fluid accumulation in the inner ear, sudden exposure to loud noise, infection in the upper respiratory system, frequent clogging in the ear, earwax blockage and abnormal growth in ear bones. Circulatory problems, misalignment of the jaw, ballooning of blood vessels, high or low pressure, and diabetes are other reasons that associate with Tinnitus. In meager cases, stress, malnutrition, poor absorption of nutrients and improper lifestyle also causes tinnitus indirectly. The intensity of this condition may affect the day to day activities. It affects audibility, reduces concentration, and impact the sleep. Tinnitus is also caused due to psychological reasons, for which psychological approach or counseling is required. A holistic approach is essential to manage and treat tinnitus. It involves a combination of home remedies with simple lifestyle changes that can bring a big impact in creating overall balance in the body. Relaxation exercise to ease the stressed nerves. Besides, it also creates a balance in the body. Doing relaxation exercises which include mild stretches, breathing exercises and meditation helps to ease the neurological problems and aids in better management. Regular exercises treat and prevent the physical cause of tinnitus. Dietary changes that address the malnutrition which is likely to trigger tinnitus. There are plenty of foods that help to alleviate the symptoms tinnitus. Developing healthy eating habits and including a particular food in the dietary regimen addresses the nutritional requirements of the body, which eases tinnitus. Vitamin A, B, and E, Zinc, Proteins and Chlorine plays a significant role in combating tinnitus with ease. It is a powerful herb that is used for numerous health problems on vascular and neurological conditions. It improves the blood circulation in the head and neck region. Mainly, it stimulates proper circulation in the capillaries, including the skull and the auditory system of the body. Healthy circulation naturally cures tinnitus and also prevents recurring episodes. Since it promotes healthy circulation, eventually it reduces the inflammation in the blood vessels. Better circulation in capillaries feeds the nerves in the ear, providing optimal relief from tinnitus. Take no more than 120 to 150 mg of Ginkgo a day, for three times a day. Although Ginkgo does not provide quick results, the results are the effective and long term. Berberine is a potent alkaloid found in Goldenseal, quite an attractive herb. It is a proven remedy to treat the inner ear lesions. Eventually, it makes the ideal home remedy for tinnitus. 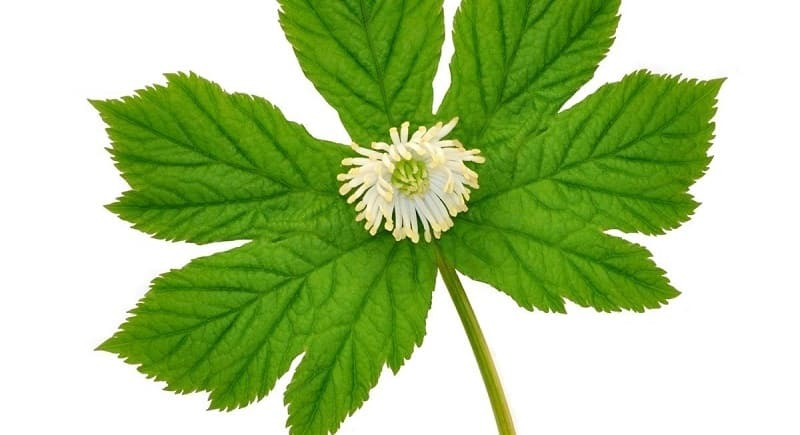 Goldenseal makes an ideal remedy for tinnitus triggered by ear infections. Make a decoction out of 2 to 3 teaspoons of goldenseal leaf and drink it twice a day. Black Cohosh provides instant relief from tinnitus, and several clinical trials prove it. It clears the ear blocks and enhances the circulation. Make a decoction out of 3 ml of Black Cohosh or 1 teaspoon of Black Cohosh and consume two times a day. Many types of research submitted the facts that there is a strong correlation between auditory problems and vitamin deficiency. Especially, vitamin B12 aka Cobalamin is directly linked with this condition. Vitamin B12 is responsible for the formation of red blood cells. Administering vitamin B12 rich foods helps to allay the tinnitus. Meet, and sea foods are the richest source of vitamin B12. (beef, mutton, lobster, crab, clams, fish, and oysters). Cheese is the rich source of vegetarian source of vitamin B12. A few studies revealed the fact that zinc deficiency is closely associated with causing tinnitus. Zinc is one of the most overlooked minerals in the daily diet. An adult requires a minimum of 15 mg zinc every day. Adding more zinc rich foods to the diet ease away the symptoms of tinnitus and prevents the recurrence. The non-vegetarian source of zinc includes liver, mutton, lamb, beef, and oysters. Vegetarian source of zinc contains sesame seeds, watermelon seeds, squash seeds and pumpkin seeds. Sesame seeds have been used for centuries from an ancient period in eastern and oriental medical practices as the right remedy for tinnitus. Apple Cider Vinegar is a versatile ingredient, used to curb down many ailments. It is a potent anti-inflammatory and antifungal element, which efficiently treats the infection. In case, if tinnitus is triggered by an ear infection, applying apple cider vinegar reduces the discomfort. Besides, it also balances the acid-alkaline levels in your body. Apple cider vinegar tastes good. You should always dilute ACV in water before drinking. Take two or three teaspoons of apple cider vinegar, add one teaspoon honey and mix in a glass of water. Drink the solution twice or thrice a day for two to three days. The ringing sensation in the ear will stop eventually. Holy Basil, the holy ingredient as well one of the purest herbs is a natural remedy for tinnitus. Rich in antibacterial properties, it provides quick relief from an ear infection, inflammation and ringing in the ear. Basil makes the ideal remedy for tinnitus caused by an ear infection and auditory problems. Take a handful of fresh basil leaves and make into a paste. Strain the paste and extract the juice. Slightly warm the juice. Apply this to two times a day for three to four days; tinnitus will go away with no traces. Tinnitus is rarely caused by serious neurological problems as given above. Otherwise, it is more of a condition triggered due to an ear infection and ear related problems. Garlic is used in daily cooking for its immense medicinal values. It is one of the staples used in cold climates. Garlic keeps the body warm and increases the heat quotient. Garlic clears the clogs and treats the inflammation. Besides, it also stimulates the nerves and promotes the blood circulation. Beyond these, the antibacterial property of garlic also addresses the infection that triggers tinnitus. All these collectively treat tinnitus. Crush three to five cloves of garlic and fry in two teaspoons of sesame oil. Strain the warm oil and let it cool. Apply two to three drops of oil using a dropper into the ear. Apply it at night before going to bed, once a day. Repeat it daily for few days, preferably for a week. You can find improvement in two days, and within a week’s time, tinnitus will be cured completely along with the major ear problem that triggered it. You can also use garlic generously in cooking and take as a supplement. Similar to Basil, onions are rich in antibacterial properties. It is one of the vegetables with high medicinal properties. Onion juice is suitable for all types of ear infections that trigger tinnitus. It clears not only tinnitus but also the ear infection. Chop/shred the onions and grind into a paste. Extract the juice from the paste. Apply a few drops of onion juice into the ears or affected ear. After five minutes, tilt your ear and drain out the juice. Try once or twice a day for few days. While home remedies for tinnitus can cure this condition, sometimes it also acts as a symptom of an underlying disease. When the discomfort caused by tinnitus arises frequently and home remedies for tinnitus unable to provide full recovery, diagnose the cause and take appropriate medication. Using saline solution as a home remedy for tinnitus may sound very odd. However, it is an effective remedy for tinnitus. Especially, if the tinnitus is caused by nasal blocks, ear blocks, and excessive sinus fluids, the saline solution makes the best remedy to treat tinnitus. You can get the saline solution available at pharmacies or make it at home. Take one teaspoon salt and mix with one teaspoon glycerin. Add this mixture to two cups of warm water; your homemade saline solution is ready. You need a nasal spray bottle to transfer the solution to apply or inject into the nostril. If not, use a thin dropper to inject the saline solution. Insert the solution until the solution drains at the back of the throat, which you can feel. Try this thrice a day for two to three days. It will clear the nasal passages, which reduces the ringing in the ear sensation. Saline solution works effectively for the tinnitus caused by blocks in ear and nostrils and may not be effectively in other cases. Loud noise, be it any form of music to people, stay away from loud noise. Loud noise leads to further damage to the ears, which worsen the tinnitus. In the case of repeated episodes of tinnitus, you can use white noise fan or generator. White noise generator produces gentle waves of noise, which distracts the noise generated internally by tinnitus. There are a handful of home remedies for tinnitus to ease away the condition in a short time. At the same time, you should also be familiar with what not do when you suffer from Tinnitus. As said above, tinnitus is triggered by numerous factors. Here is a list of what not to do when you suffer from tinnitus. Reduce the intake of salt, because high intake of salt leads to inflammation and efficiently promotes water retention in the body. Avoid caffeine and similar stimulants. For instance, coffee, cigarette; It exacerbates the auditory nerves sensitivity, which increases the sensation of ringing in the ear, causing a lot of discomforts. Say no to high cholesterol foods, trans fat, and hydrogenated foods. Fatty meats, sausages, packaged foods, food additives, margarine, etc. Use foods rich in healthy fats, omega 3 fatty acids, and other unsaturated fats. Avoid food allergens. You might have known to have or previously suffered from certain allergic reactions from specific foods. Avoid the allergic foods. In general, avoid citrus fruits, milk, soybeans, chocolate and ripe bananas to prevent further trigger of tinnitus. If the episodes of tinnitus are very mild to moderate and less frequent, you can easily manage the condition and cure it in a shorter period. However, understanding about the cause of tinnitus is essential to get an appropriate remedy. Tinnitus although caused by a single factor, it is triggered by multiple co-existing factor and lifestyle.